Product prices and availability are accurate as of 2019-03-29 02:40:26 UTC and are subject to change. Any price and availability information displayed on http://www.amazon.com/ at the time of purchase will apply to the purchase of this product. The eBosser is a fully automatic and large format embossing and die cutting system. It is compatible with most cutting dies and embossing folders. Use your favorite folders and dies or our large format embossing folders to create projects fast and easy. 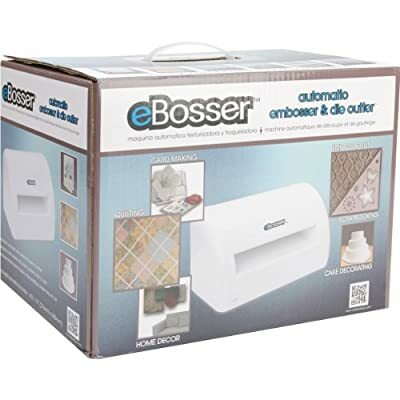 The eBosser is able to cut through multiple layers of fabric in one pass. Spend less time cutting and more time creating. The strength of the eBosser does not stop there: cut or emboss leather, wood and metal with ease too. Fully Automatic Electric for Ease of Use Handles materials up to 8.5" x 24"